We are looking forward to welcoming you to the cattle park and to introducing you to one of the most unique, and truly wild, herd of cattle in the world. Chillingham offers an outstanding day out in one of the most beautiful parts of Northumberland. 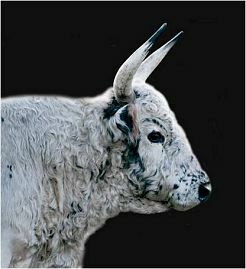 Your first scary experience is a visit to the wild white cattle. These unique beasts fight for the chance to mate. 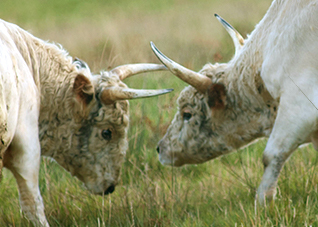 Bulls can – and do – kill each other. The guided tours take you close, but not too close, to these extraordinary animals. Please note this is a walking tour. The ground can be uneven and muddy in parts. We recommend suitable footwear. Flip-flops and sandals are not advisable. Then visit England’s most haunted castle for lunch or coffee. 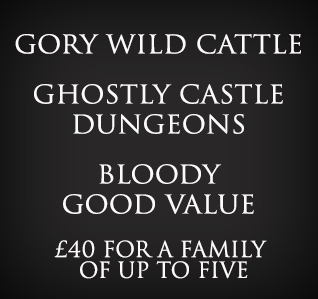 Brace yourself for a terrifying tour of a real castle; fearsome torture chamber, eerie dungeon and magnificent state rooms. 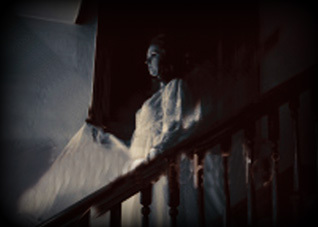 If you’re really brave, join a nerve-jangling night time ghost tour. There is no direct access from Chillingham Castle to the cattle park. Dogs, including guide dogs, are not allowed into the cattle park. 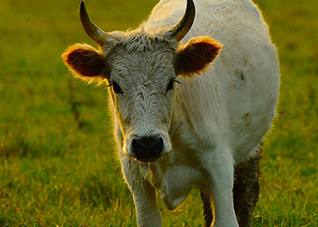 The warden is tasked with strict enforcement of this rule for the protection of the cattle. Wheelchairs are not suitable in the cattle park due to the unevenness of the terrain. However, our warden will be happy to show you around in her vehicle, at her discretion and with a minimum of 24 hours notice. Please note this vehicle can only accommodate two visitors.